Finally, the apocalypse comes to your living room! Well, folks, the day has finally come. No longer must we huddle around the illuminated warmth of our desktop monitors in order to exterminate huge swaths of Skaven with our friends. At long last, Warhammer: End Times - Vermintide is out now on PlayStation 4 and Xbox One! For a scant $39.99, you and your Console Squad can witness the siege of Ubersreik from the comfort of your couches. 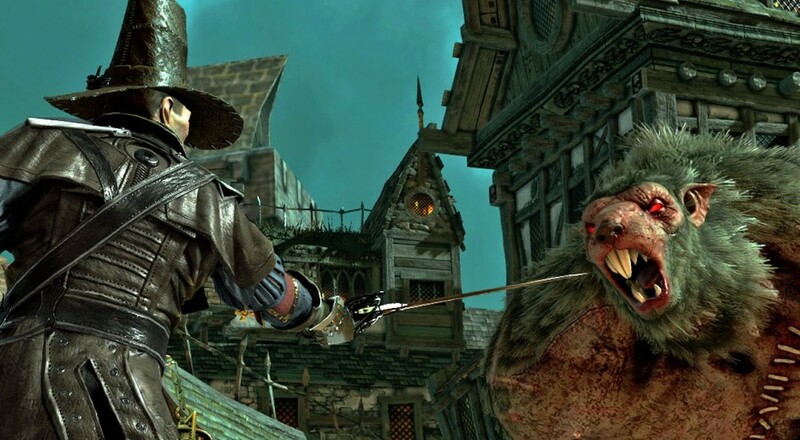 For the uninitiated, Vermintide is a first person combat game set in the now-extinct Warhammer Fantasy universe. In the most reductive sense, it's quite similar to Left 4 Dead, but with humanoid rats instead of zombies, and loot mechanics thrown in for good measure. Up to four players can work together online, meaning you'll never have to scour the Skaven-infested streets and sewers for rare items all by your lonesome. To see the game in action, check out the launch trailer below. Between the numerous levels, difficulties, and lootable items, there's quite a bit packed into Vermintide. Combining that with Fatshark's continued support for the game means that you and your friends have a lot of content ahead of you. On top of that, the game is supremely fun. So much fun, in fact, that it won our coveted Golden Fitty (also known as Game of the Year) Award when it was released on PC last year. Assuming the game performs at an adequate level on consoles, it's tough to find any reasons against recommending it. So, what are you waiting for? Those Skaven aren't going to slay themselves.